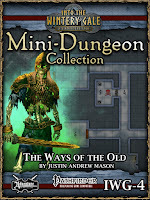 The fourth Mini-Dungeon I wrote in the "Into the Wintery Gale" series is now available for purchase. 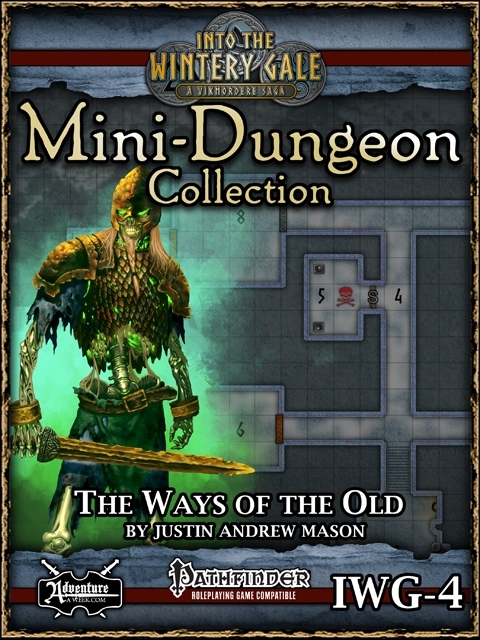 Ways of the Old is an adventure for 6 PCs levels 11-12. In this adventure the party is seeking information about an ancient artifact known as the Sorrow’s Snekkja. Vikmordere legends suggest that it can be used to quell the evil which dwells within Serpent Lake, but provides few hints of its form or whereabouts. This adventure can be purchased via Adventureaweek.com, DriveThruRPG, RPGNow, and Paizo.